Something that has been stopping me in my office and causing me grief has been my personal paperwork. I did not have a place to put these things and the piles were everywhere. Literally everywhere in the house. One day I said ‘screw it’ and went out to purchase whatever filing cabinet I could from the local Staples. Now the first place I started was mine and Mister’s tax returns. 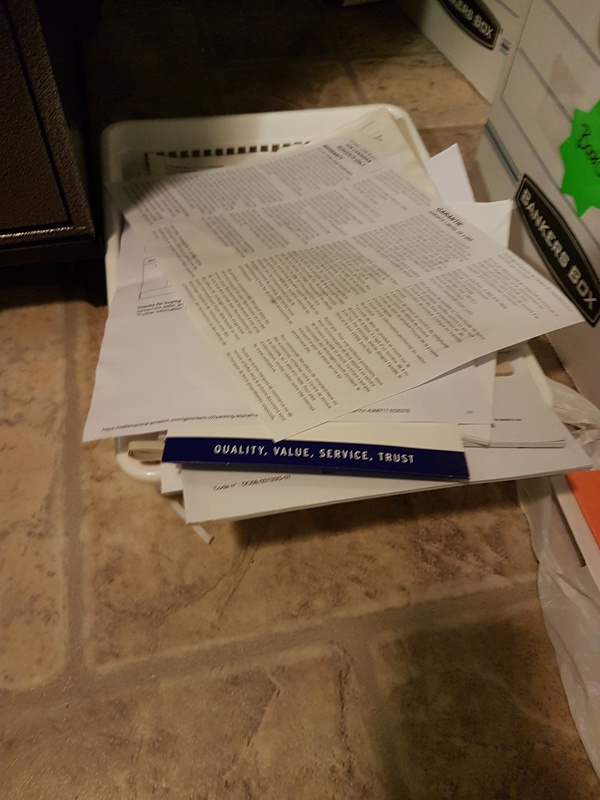 I did have them in another place but I wanted to put them in the filing cabinet. The reason I opted to move these first was because I knew there were NOA and what not mixed up in these piles and they needed to go with their corresponding year. 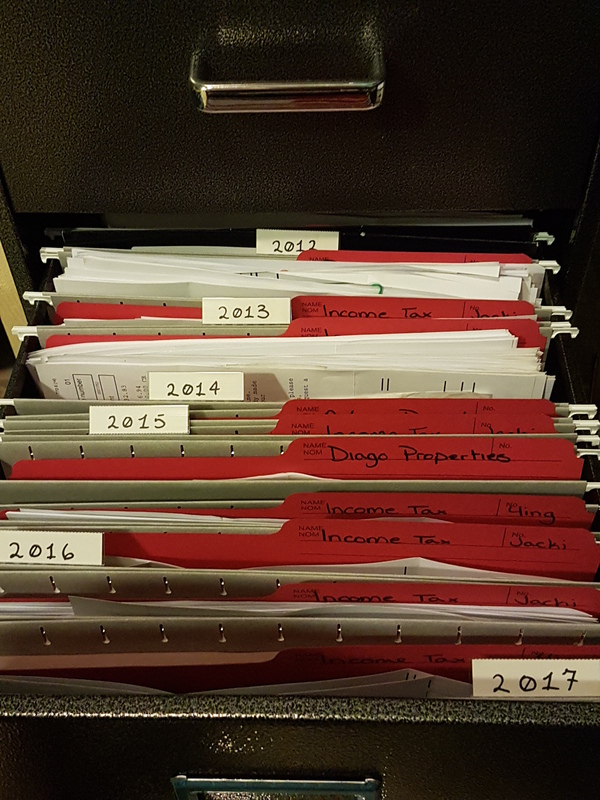 In the above picture are the folders I had my taxes organized in up until 2015 I believe. 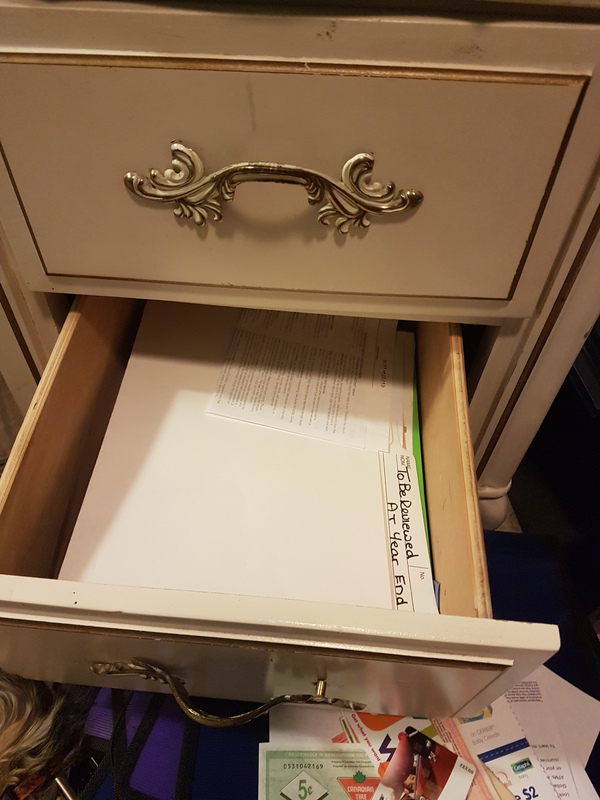 The entire bottom drawer is taxes and nearly full. I did not have tabs at this point so I just marked all of the hanging folder with whatever stickies I could locate. 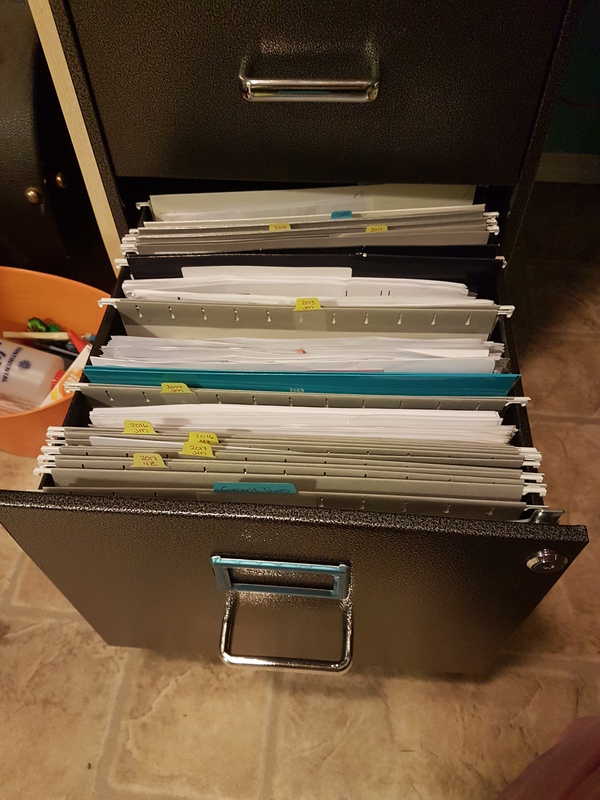 I also did not have folders (the ones I have in my office are for clients). 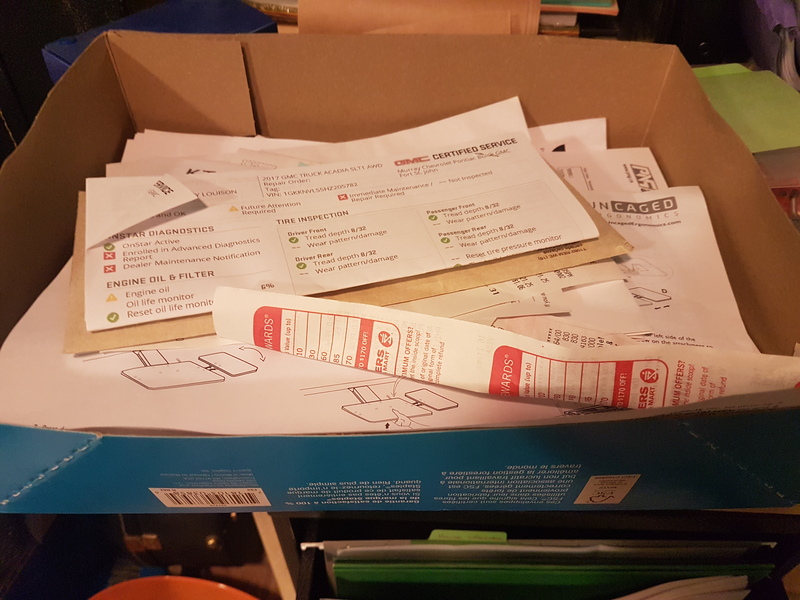 This lid did not contain much but I started with this box and moved onto the sorter that is on top of my desk (no picture). Which was stuffed full! 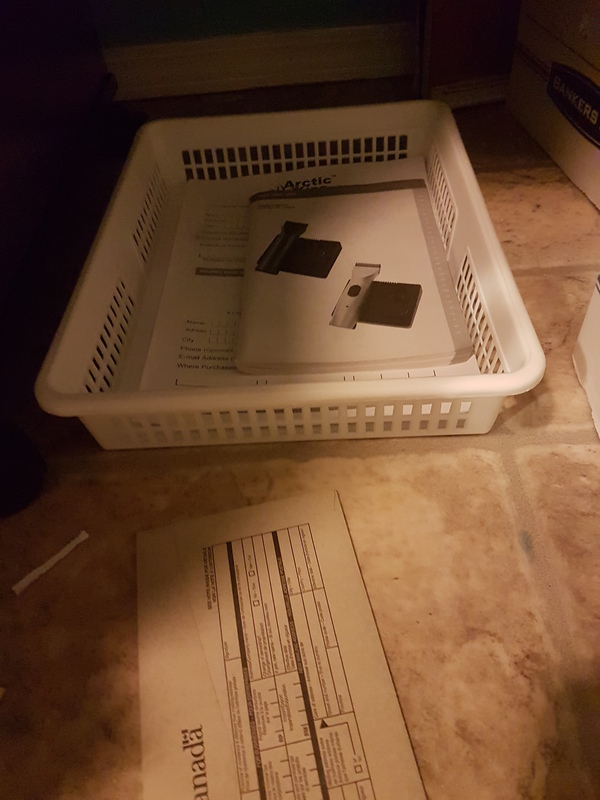 This basket was also over flowing with paperwork. As you can see though I had emptied it. I started putting my manuals here. 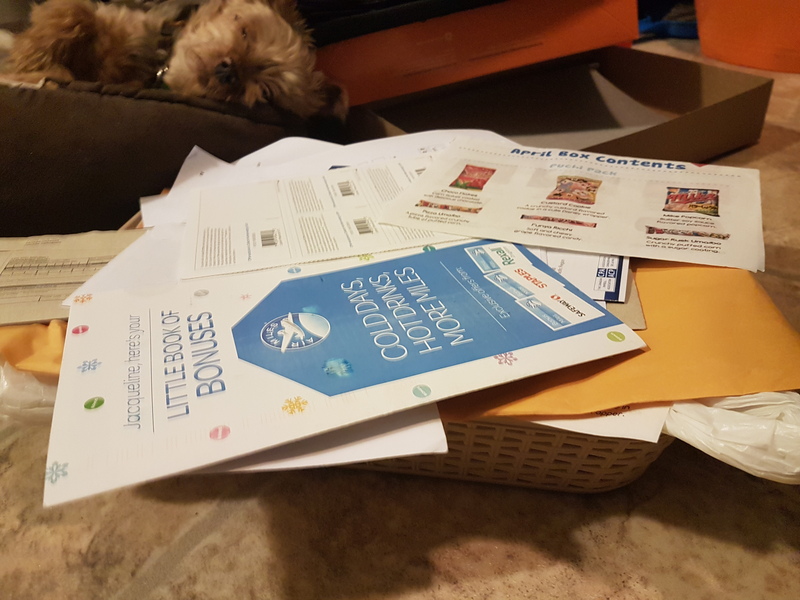 This ended up being my pile of recycling. This is also where I stopped. I ran out of hanging folders and needed someone to pick me up more the next day. 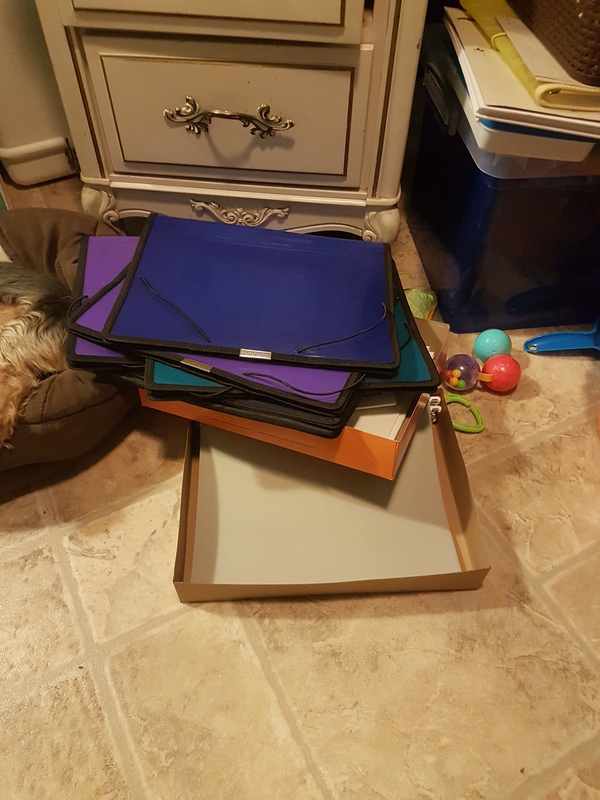 I was completely beside myself on the fact that I used an entire box of hanging folders and I was not done yet. I did work on emptying out the desk the night after. Why I only took pictures of two out of three drawers I have no idea. But they were all full. I also want to get the desk out of the way. I am repainting it and using it as my vanity. Plus, it was just simply in the way. 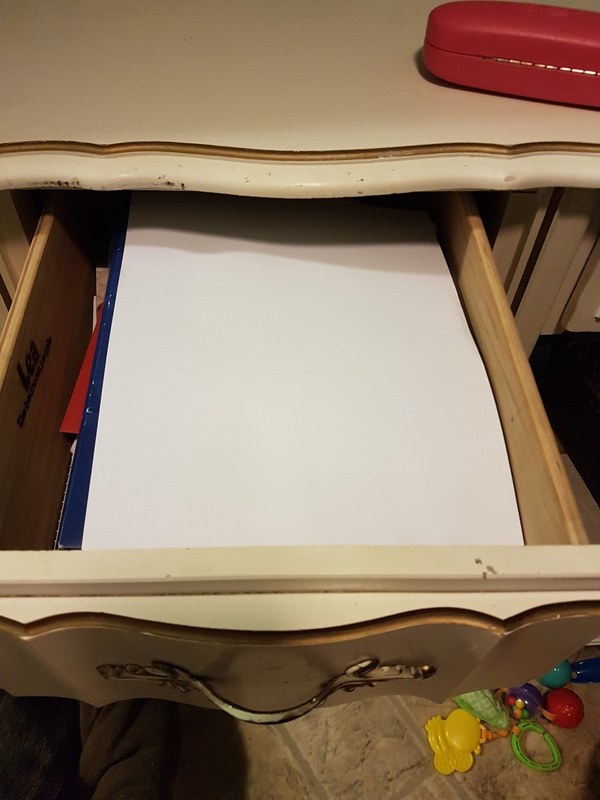 I cleaned off the desk top and emptied out the drawers. Desk was moved out to the shed in the mean time. Now at this point my basket of manuals has grown ha-ha. Before you say I can get these online. I am aware of that but I honesty like having them immediately on hand. In the end I got tabs for the folders. 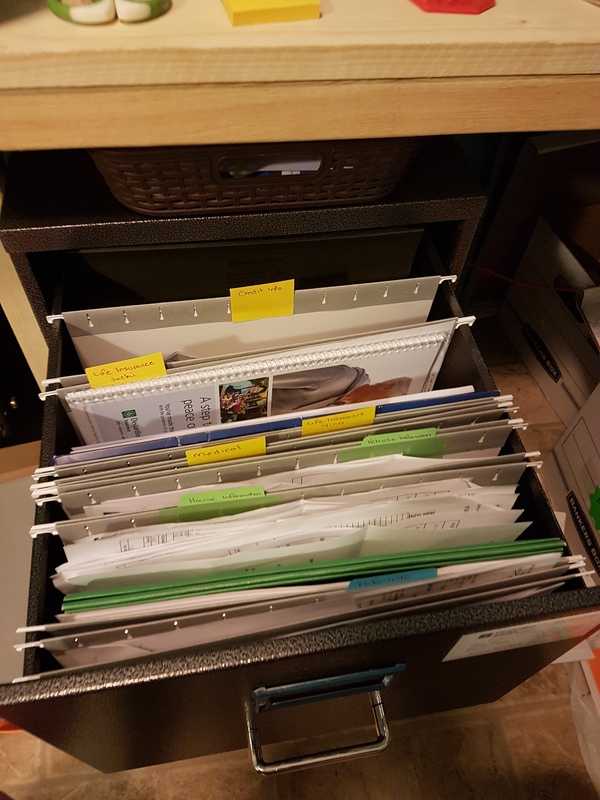 I also got folder to micro-organize. I know it is not very exciting for photos and I am getting this together so that you can also watch a video of it if that is your thing. Despite all that though it was so weight-lifting to be able to put such a big aspect of my life a way. I do even now still have to go through the manuals and I have a few more piles that have accumulated since this was done. 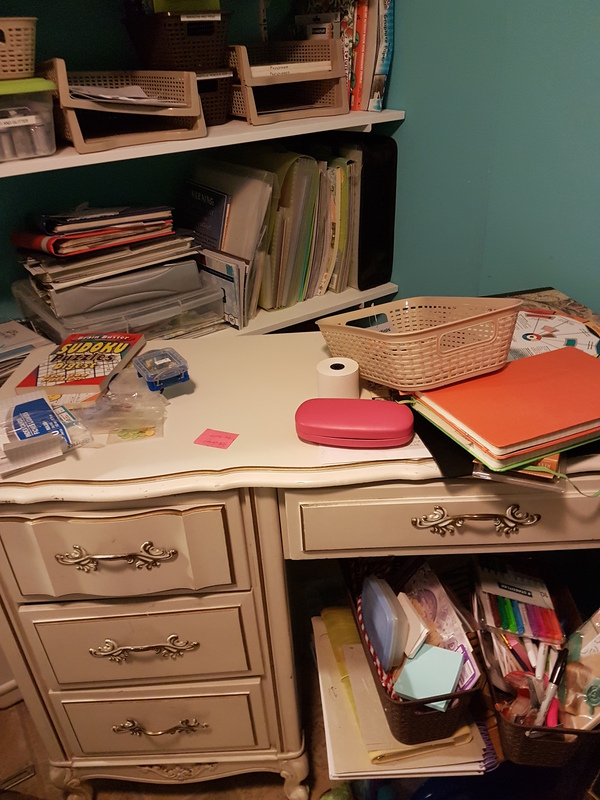 I want to add about my office that I do not take very many pictures in here because I also work from home and those things do not need to be shared. So, even if I am making progress I may not be able to document it.